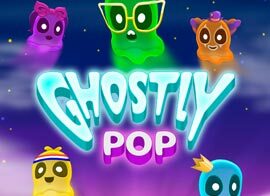 Ghostly Pop Guriko Arcade Game free online. Do you fear ghosts? Face them with this amazing halloween game! Match the monsters of the same type to kill them all and complete all the levels!